The kitchen is not about cooking or preparing meals, it is the heart of every home where we can sit to chat with family and friends while eating and preparing meals. Plus the kitchen gathering area will include many memories and great moments too if we have the desirable warmth and coziness inside. There is no design that can create this warm and cozy atmosphere you wish for except the country style which is so classic and traditional. Traditional and classic means that it has the warm feel of the comfortable past time where our grannies lived when the life was easier and cozier. Let’s bring back these feelings inside our kitchen by applying the country kitchen style. 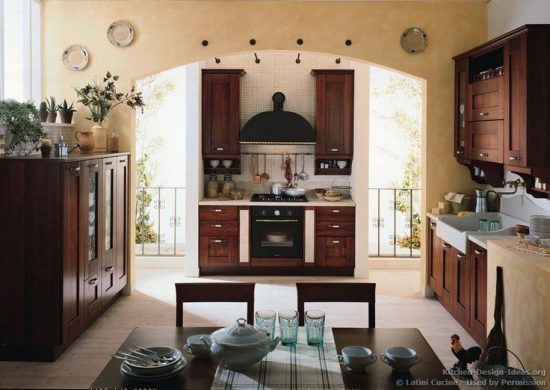 The country kitchen design has always basic characteristics that make it so special and charming. Wood is number one basic which distinguish this charming design of the others. You can install wooden floor also not just the cabinet. As every homely country kitchen has a focal point; you may go for a wooden table as a focal point where gathering with your guests and family. Why wood is popular! It is simply because wood is durable and gives you the touch of nature. Plus it is easy to install and be painted. This leads us to talk about the popular country colors which give it the personality and the warm cozy feel you need. These colors are inspired from nature too like dark red, golden yellow, blue, dark green and brown. The colors choice depends on your taste. The lights and accessories are also important elements in the country kitchen. 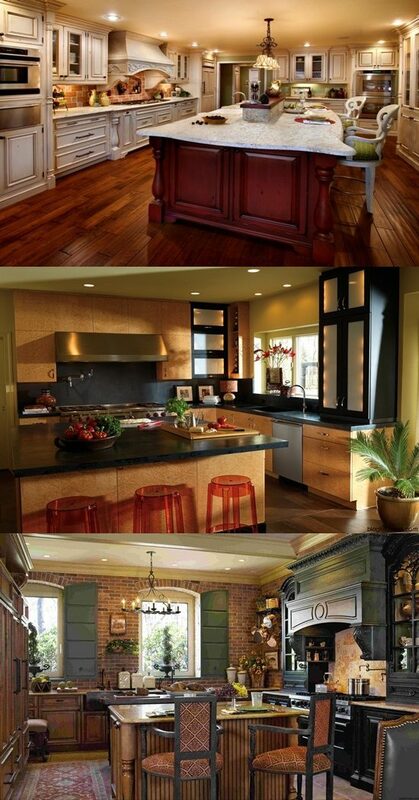 Lights are the magical elements that enhance the warm and charm feel inside your kitchen. A wrought iron chandelier hanging over the table is ideal for the country style. At last, the curtain can be with colorful patterns that match the overall colors. Then you can complete the charm, beauty and the cozy feel in your kitchen by adding a basket of fresh fruits on the table center and enjoy the time with your family and friends. Let Your Kid’s Room Twinkle!